HP Compaq Presario Desktop, HP Pavilion, HP Slimline PC, HP Pavilion Elite come preinstalled with Windows, device drivers, and other required software. However they still require additional configuration for optimal use. Windows 8, for example, has a bewildering set of configuration options that only certified technicians can fully understand. Similarly upgrading an old HP computer with Windows XP to Windows 7 or Windows 8 is not easy. The product installation instructions are often confusing. Our experts can help install and configure your HP desktop computer the way you want. Computer hardware and software are becoming more complex. HP Desktop computers are no exceptions. 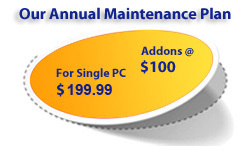 We can fix most software problem for your HP Desktops. Say your Windows Update unexpectedly stops working; or a nasty spyware cannot be removed with Windows Program Installation Tool; or the HP wireless printer works sporadically; or the Outlook email attachments cannot be opened. No matter how complex the problem, you can count on our certified technicians to spend as much time necessary to fix the problem until you are completely satisfied. HP Desktop computers, like all other computers, can get bloated after some time. As you surf the net, download apps, add new programs, and clutter your computer with unnecessary data, you will slow down your HP Desktop. Even simple tasks such as starting and shutting down Windows can take long time. Google Chrome or Mozilla browsers may become sluggish or even document creation with Microsoft Word may slow down. Our technicians know all the tricks of the trade to clean up and tune-up your PC so that it regains its past glory. HP desktop computers, in addition to Microsoft Windows are bundled with a broad range of software products, utilities, and tools. Some software like Windows Firewall, or Backup & Restore utility, diagnostic tools like Event Viewer and Task Manager, are bundled with Windows. Other such as Microsoft Office, Antivirus from McAfee or Norton is paid software you may have added. Still others like browsers or apps like Skype are free tools downloaded from the web. This software stack is becoming quite complex. You need someone like GuruAid who can help you make sense of the new feature-functions and guide getting the most out of your computer.